On the eastern coast of Barbados, overlooking a picturesque bay, a proud heritage seamlessly blends with modern chic at The Atlantis Hotel and Restaurant. Atlantis was one of the very first hotels to be built in this part of the island, with construction taking place in the 1880s. 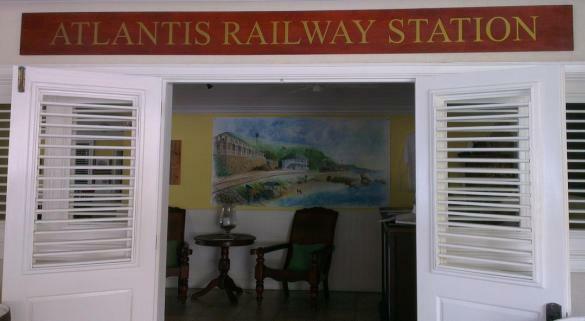 This timely coincided with the opening of a railway service linking the capital city Bridgetown to the east coast, with the train line passing just at the doorstep of the hotel and ending his outbound journey at Belleplaine about 5 miles north of Atlantis. At the modern Atlantis Hotel, a prominent sign reminds guests of this historic link. A hike along the old train line is a wonderful way to step back in time and to appreciate the coastal beauty of the area. The name “Atlantis” is possibly derived from the hotel’s location overlooking Tent Bay, where the Atlantic Ocean meets the shores of Barbados. This may have either inspired thoughts of the mythical Atlantis island or be a corruption of the word Atlantic. For much of its existence Atlantis Hotel had an entirely rustic feel; that changed with a full refurbishment of the property in 2009, a renovation that beautifully modernized the resort without diminishing its historic character and charm. “Rustic chic” perfectly describes this place, where the seclusion of its location, the local character of the fishing village, elegant design, and modern amenities all blend in perfect harmony. The accommodation at Atlantis retains a historic feel with traditional four poster beds, mahogany furniture, and luxury linens. 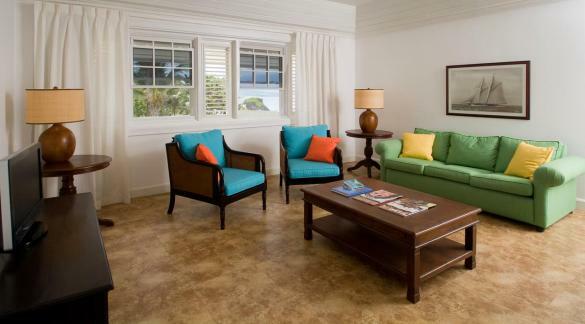 Complimentary WiFi, flat screen TVs, air-conditioning, and iPod docking stations make today’s guests feel right at home. One of the most delightful aspects of a stay or visit to Atlantis Hotel is the incredible restaurant, with an open-air terrace overlooking the sea! 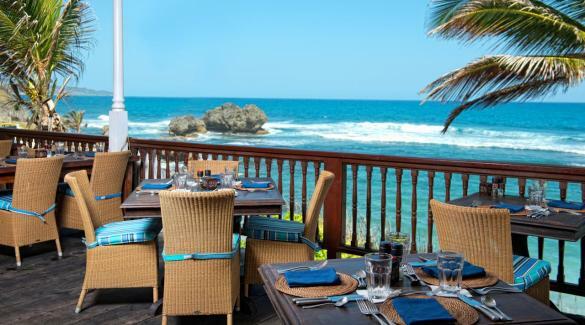 The restaurant is a renowned for its Sunday and Wednesday buffets, serving up delicious local and Caribbean dishes. As a hotel guest you can also enjoy delicious breakfasts and a la carte lunches and dinners throughout the week. Atlantis Hotel deservedly holds a special place in the hearts of Barbadians and its guests. 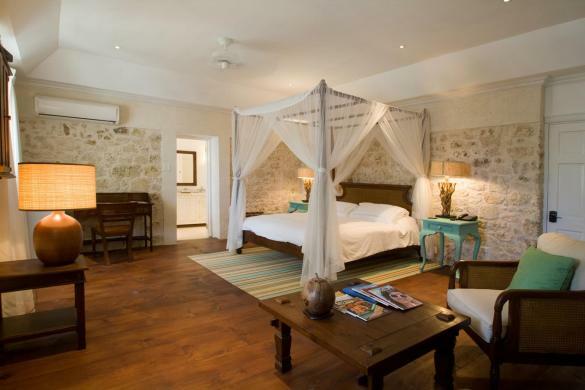 It’s a wonderful place to enjoy seaside sophistication and a truly unique stay on the island.